Specialist midwives trained to support pregnant women with alcohol problems are needed, according to a major new strategy for tackling Ireland's drug problem. The plan warns women in Ireland are more likely to drink during pregnancy than in any other country and are still not fully aware of the risks. And it cites the need for maternity hospitals to "strengthen their methods of detecting alcohol abuse and supporting women to reduce their intake". 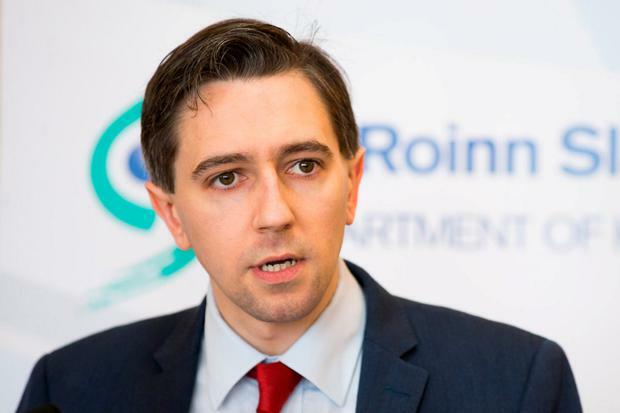 Health Minister Simon Harris will today launch 'Reducing Harm, Supporting Recovery', which sets out the Government's policy on drug and alcohol use until 2025. It recommends the Oireachtas passes the much-delayed Public Health Alcohol Bill, which will introduce minimum unit pricing and stricter regulations on the sale of alcohol. The minister will also announce a new working group that will be given 12 months to compile suggestions for non-criminal sanctions for people caught in possession of small quantities of illegal drugs for their personal use, the Irish Independent understands. The strategy concludes there is "a need to explore" the approaches taken to personal use in other countries. In relation to alcohol abuse, a major focus is put on pregnant women on foot of a study by medical journal 'The Lancet' earlier this year which found Ireland has the worst rate in the world of women drinking during pregnancy. It is thought over 60pc of Irish mothers consume alcohol while pregnant, compared with just 41pc in the UK. The plan says "dedicated support" for women who drink at dangerous levels is required and suggests expanding the role of drug liaison midwives (DLM) who currently assist expectant mothers with drug addictions. There are currently just three DLMs, all based in Dublin. But the strategy says they should be in place around the country. The existing midwives, in the Rotunda, National Maternity Hospital and the Coombe, operate in special clinics. A study by the Coombe has shown that 4.6pc of women who went through maternity care there reported using drugs during pregnancy, mostly methadone. "These women have complex medical and social needs and are at risk of having babies with low birth weights and other complications," the strategy says. "Their involvement with the maternity services provides an opportunity to reduce their drug dependence and improve their social circumstances and well-being."